The North Enisei is at the interface of several distinct languages and indigenous peoples' territories. Located in Eurasia, it is at the borderland of one of the world's largest wild migratory reindeer. 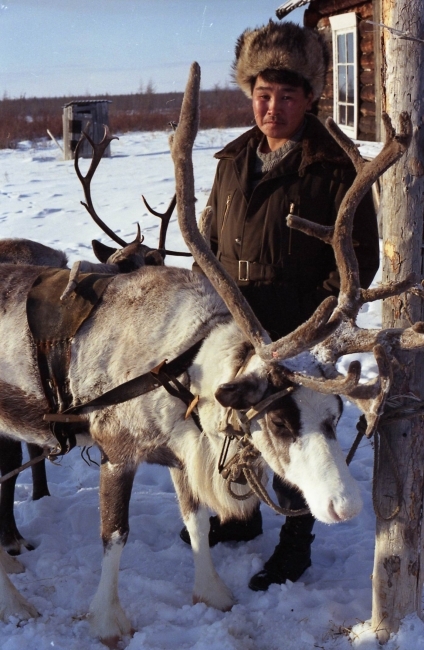 The indigenous peoples have domesticated some of these 'wild' reindeer whilst also hunting the large herd. 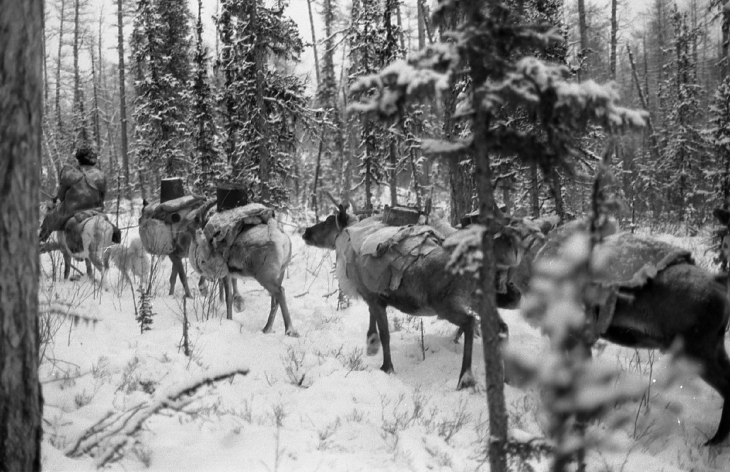 This hybridisation of 'wild' and 'tame' reindeer have been the most vivid example in this region. Dogs, furthermore, have been an important companion of the reindeer herders and hunters. The literature and research, however, have not yet given significant attention to the dogs nor the complexitity of the changing patterns of the indigenous peoples. Field research in the region began in 2014 with the fieldwork in Khatanga district, Taimyr, of regional fieldworker Dr. Vladmiir Davydov. Prof. David Anderson in colloboration with Knut Røed of the Norwegian Veterinary College and Marina Kholodova of the Severtsov Institute of Ecology in Moscow, who are studying the genetic markers of wild and domestic reindeer in the region.